An electrocardiogram (also known as an EKG or ECG) is a completely painless test that measures the electrical activity of your heart. It records this electrical activity as short, wavy lines that dip up and down on graph paper. The size and shape of these dips can reveal a number of things about your heart. 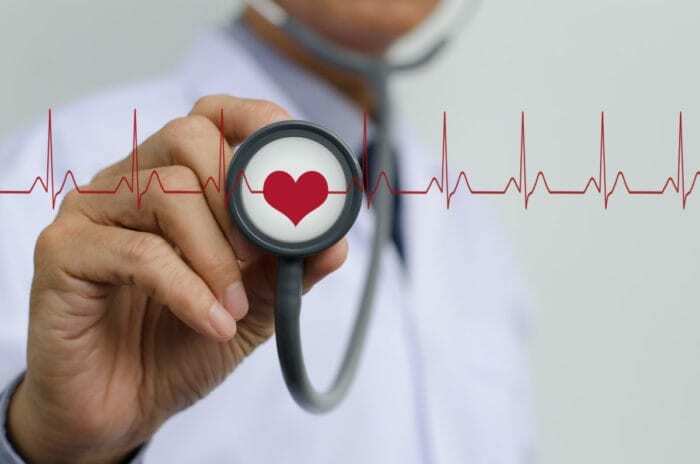 Your doctor may order an EKG if he or she suspects that you have heart disease or heart damage, or to see if medications are affecting your heart. Your doctor also may use an EKG to check on any implanted heart equipment (a pacemaker, for example). Arrhythmia – A heartbeat that’s too fast, too slow, or irregular. Cardiomyopathy – A heart muscle that is too thick or parts of the heart that are too large. Congenital heart defects – Birth defects of the heart. Coronary heart disease – Lack of blood flow to the heart muscle. Heart attack – Damage to the heart caused from a blocked artery. Heart failure – A heart that is not pumping with enough force. Heart valve disease – Problems with the heart valves. An EKG will determine if your heart beats normally by measuring any abnormality in heart rate or rhythm. If you’re healthy, your heartbeat should be consistent and even. If your doctor determines that you should have an EKG, the test will take place either in the doctor’s office or at a hospital. A technician typically performs the test. The technician may ask you to change into a hospital gown. After changing, you’ll be asked to lie on an exam table or on a bed. The technician will attach 12 to 15 electrodes to your chest, arms, and legs using stickers. The stickers may be cold, but it will not hurt when they are attached to your skin. Sometimes, the technician may have to shave or clip your body hair to make sure that the electrodes stick to your body the way they should. Once the electrodes are attached, the test will begin. These electrodes can detect the electrical currents of your heart, using your body’s natural electrical system. The EKG machine will record the impulses that make your heart beat. These impulses will create the wavy lines on the graph paper. EKGs are painless. The only “challenge,” especially for children, will be lying completely still for the test. A standard test will usually last only a few minutes. During the test, you can breathe normally. Depending on what the doctor is looking for, the technician may ask you to hold your breath for a short time during the test. The results of the EKG will be available immediately. If you had your EKG in the doctor’s office, your doctor may go over your results with you right then. Typically, though, your doctor will also have cardiologist, a doctor who specializes in heart health, review your results, too. An abnormal result on your EKG does not necessarily mean that your health is in danger. It could mean that your heart has a normal variation to its rhythm. This does not affect your health. Other times, an abnormal EKG can be a sign of a true medical emergency. For example, EKGs can reveal if you’ve had or are having a heart attack. A heart problem may not always show up on an EKG. If you believe that there is something wrong with your heart even after a normal result on your EKG, you should always get a second opinion. Why are you ordering an EKG? How long will my EKG take? Can I take my regular medication before my EKG appointment? Can I have an EKG if I am pregnant? When will you have my results?